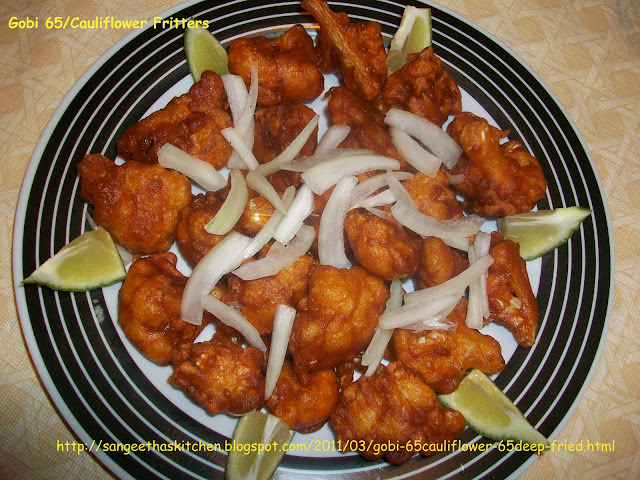 Cut the cauliflower in to small florets and Put it in the hot water for 10-15minutes and drain completely. Take a wide or mixing bowl,add all the ingredients form "cornflour to salt" and using water make it to a thin batter. (consistency should be thinner than the bhaji batter). Now heat oil in a pan for deep frying ,when oil get really hot...take a single florets dip in the batter and put it in the hot oil and deep fry it till become crispy and done. Likewise do with all the florets,but dip each pieces individually so that it get coated nicely. 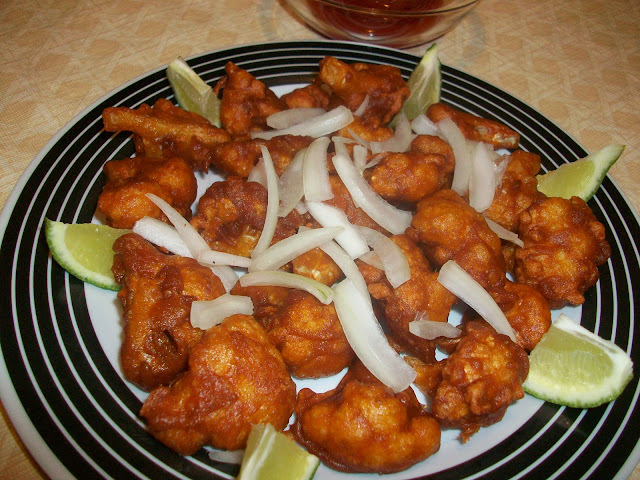 No need to marinate,this itself remain crispy and well coated ..Try this!!! Serve hot and garnish with lemon wedges,sliced onions on top. Found your site through Tastespotting - these sound delicious. Thanks for sharing! !